Finding a stair lift for your home is the perfect solution for seniors who may have mobility issues and problems getting up and down the stairs. A stair lift will carry you or your loved one safely up and down the stairs in a secure seated position. This can give you easy access to all the levels of your home without having to fear for your or your loved one’s safety. But, how do you find the best stair lift for your needs and your budget? Here are a couple of things to keep in mind while you are on your search for the best stair lift. There are two basic types of stair lifts, one for a straight staircase and one for a curved staircase. So, of course, you will need to choose the type that fits the staircase in your home. A straight stair lift is around $5000 to $8000 installed. A curved stair lift is much more complicated and will cost you more at approximately $10,000 to $15,000 installed. The cost will be based on how elaborate the curved stair lift will have to be. Some companies are now offering weatherproof types of stair lifts. These stair lifts are aimed at those who may need help going up and down stairs that are outside their homes, such as the front entryway, side doors, back doors, or patio steps. There are also companies that offer standing stair lifts for those of us who may have trouble bending their knees. If you or your loved one happen to be a bigger person, you may need to look into a heavy duty lift. 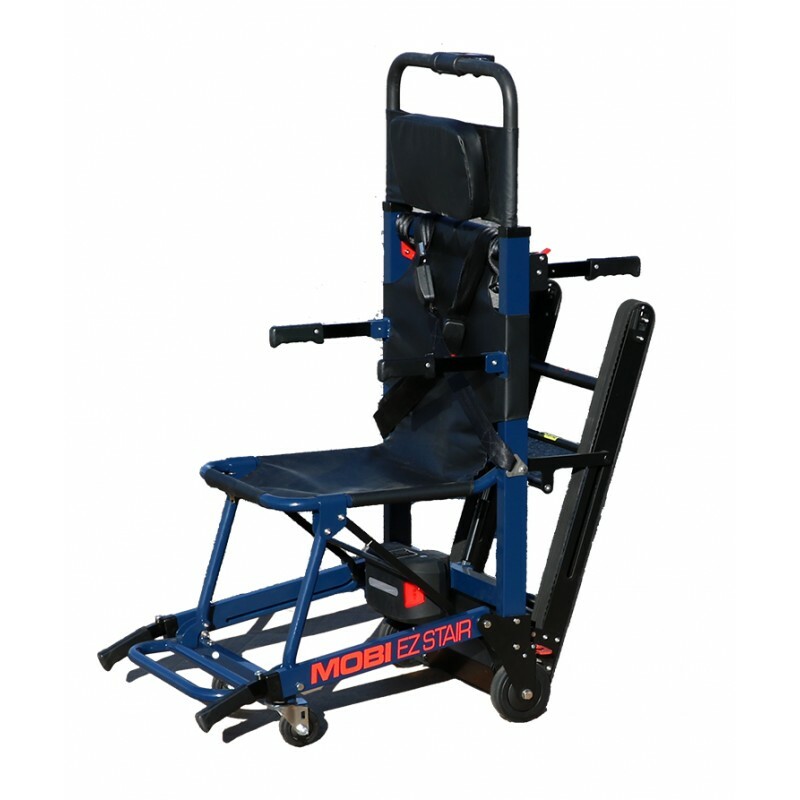 These lifts feature larger seats and a higher lifting capacity. You will find that all of the stair lifts offered today come with seats, armrests, and footplates that fold up out of the way. Most of them will feature a swivel seat to make getting in and out of the chair a breeze. All of them will feature the basic safety accessories, such as a seatbelt, a braking system, and a number of sensors to ensure nothing problematic happens during your ride. You may want to ensure that your product has the basic safety features and any necessary added extra safety features depending on your or your loved one’s needs. You also have the option of deciding between a stair lift or a battery powered stair chair. Many people like the idea of having a battery powered stair chair simply because it will still work during a power outage and is less than half the cost of a stair lift. 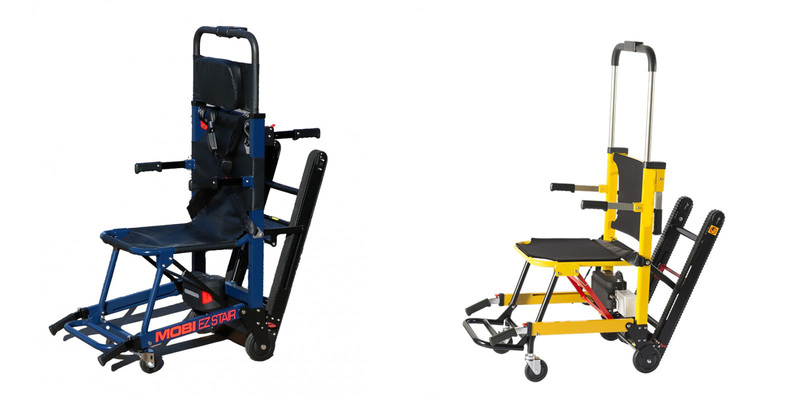 But did you know a battery powered stair chair is easily transported, meaning if you want to take your dad, to a ball game, you can do it or if you want to take your grandma to the local shopping mall, you can do this. You may need to replace the batteries every few years and will need to calculate that cost into your budget. There are pros and cons of of stair lift vs battery powered stair chair, and you will have to decide on which one works best for you. There are so many options to look into when deciding on a stair lift vs Battery Powered Stair Chair. These days there are so many extras to consider and multiple types and brands to consider. It can easily get a little overwhelming, and you will need to consider a lot of personal factors in the decision. Remember there is no right or wrong answer, only what works best for you and your budget, and you can always find a reputable dealer in your area to come to your home and help you find the best stair lift for you.